STC stands for Sound Transmission Class. This is a method of gauging sound transmission loss through a wall. The American Standards and Testing Materials criteria is universally accepted by architects, designers, manufacturers, contractors and distributors of acoustical building products. The original acceptability of STC 34 walls must be reconsidered with the advent of increasing noise pollution. While an STC rating is given in terms of points, the data are given in terms of decibels. A decibel, or dB, is a unit measure reflecting “how loud” a sound is. A sound pressure level of 0 dB represents the threshold of hearing in the most sensitive frequency range of a young, healthy ear, while the thresholds of tickling or painful sensations in the ear occur at about 120 to 130 dB. What is making the noise? Where is it coming from? Is the noise passing through the wall or vibrating through the wall? Once you correctly diagnose the source you can take steps to solve the problem. This is a common problem with modern construction as the codes have not evolved to meet the demands of today’s normal occurrences. Often office, residential and multi-family walls are built with 1/2” sheetrock more because it meets minimum code than for peaceful living. The low frequency noise caused by sounds like home theater, stereo or music practice is called structure borne noise. This noise can actually pass through a very good wall in the form of vibration. This is the kind of noise you can actually feel in your feet or with your hands. 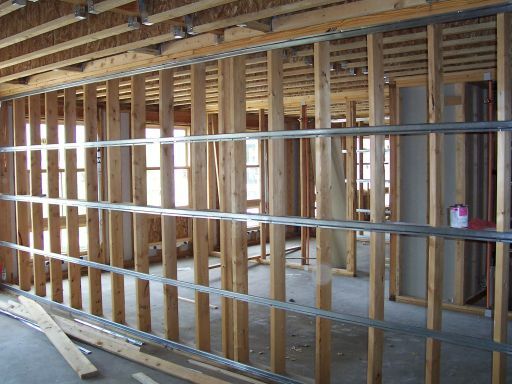 Adding a soundproof barrier to standard sheetrock will block up to 75% more noise. The best option is a combination of the above plus sound clips. These engineered metal channels are perfect for mounting drywall or other wall materials to the structural supports. They have been effectively used around the world, and are trusted by architects and general contractors, for their consistent results and their low cost. You can use SIC furring channels for a new construction project or a renovation, improving the STC at a very affordable price. Resilient channel can add valuable STC points to a wall/ceiling system without any significant alteration to the existing structure. The channels are attached directly to studs/trusses with screws and the drywall is then attached to the channel rather than the structural members; this results in a “short circuit” of the noise path, reducing sound transmission by vibration, creating a quieter environment on both sides of the assembly. You must not use DRYWALL screws that will penetrate the channel and connect with the framing, for these channels to work.